Relatively pleased with the draw. Roma are a good side, don't know all that much about Bordeaux, and Cluj are a real fairytale story so i'm pretty confident of getting one of the top 2 places and going through. You don't know much about the Champions League do you? Any away game in the Champions League is seriously hard. Man Utd are notoriously bad away from home, Celtic and Copenhagen spring to mind in the last few years. Arsenal got murdered 3-0 by Sevilla, Chelsea drew with Olympiacos and lost to Fenerbahce. Liverpool lost to Besiktas I think.. I don't fancy turning up against an unknown Romanian side who will raise their game 100% and have a hostile crowed behind them. Playing in Rome is always tricky, Man Utd lost there the year before last, and could only manage a draw last year. Anywhere in the top 2 of the group stages is a relief. We were unbeaten in the whole tournament last season. Anyway, picking Cellick over Villarreal to go through is ridiculous, considering they've got Rossi, Nihat and Pires. True, but we all know what kind of an atmosphere Parkhead is. Must be immensely difficult to play at. Celtic raise their game in European competition (the past two years, but times against Milan, Celtic prove that they can play with the best). Villarreal are a bit inconsistent away from home as well. The two matches between the teams should provide excellent football though, as well as drama; that's for sure. We all do know that United didn't loose in the Champions league last year, but two years ago they did loose to Roma in Rome (I believe the score was 2-1) and in Copenhagen (don't remember the score), as well as to Milan in both legs, IIRC. We'll see though. I do expect Chelsea to go through as the top seed in their group, Roma can play but I don't think they can match Chelsea in terms of sheer class. I do expect Roma to put up a hell of a fight, especially at the Stadio Olympico. At the Bridge, it should be a totally different story. Yeah Liverpool and Arsenal have tough groups. I'd say Arsenal's is a bit harder though. Fenerbahce are a very good team and they now have a top top coach who has added Guiza, Emre, Josico and the young talent Yilmaz to an already very good squad. 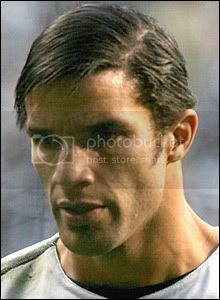 Porto won it only a few years back and cause problems. Kiev aren't a great team but going to the Ukraine brings problems. Methinks Atletico are better equipped now that they've signed a decent defender in John Heitinga. Totally correct about Argentina. They have immense amounts of young quality in two years' time in South Africa (or wherever it is). Messi will be 23, Augero will be 22, and the level of play Argentina will be able to achieve will be downright mind-blowing. Same goes for Brazil 2014, both players will just be entering their prime as footballers. Argentina will win 2010 and 2014. You heard it here first. I confess to knowing very little about him, and (like most Spurs fans) have been anxiously waiting and hoping a deal can be struck for Arshavin. Anyway, dispelling my worries about our forward positions for a second - and the equally troubling fact that we are still weak and gaffe-prone in defence (and why on earth didn't we go for Anton Ferdinand?! ) - well, at least one striker has at long last arrived at White Heat Lane eh? He's a good striker. I think he'll do well in the Premiership. As would Arshavin! I think Pavlyuchenko will be brilliant. Not so sure about Arshavin in the Premier League though, and where would he even fit into Spurs? Bentley, Dos Santos, Jenas, Modric (who's so lightweight! Slow on the ball and with his distribution too) and then they want to bring in Arshavin too.. it makes no sense. They need to get the defence sorted and a defensive midfielder, Ramos keeps going for the exciting players who all play in similar positions.. the squad and team are so unbalanced and they are in real danger of having a similar league performance as they did last year. The result strikes me as a bit odd considering Fergie put out a side stronger than what we've seen so far this year. A sign of things to come? I think not. We played like sh1t, just like we did in the first two prem games, except this time we played a top quality side. Any time when Fletcher and O'shea are on the pitch at the same time, our game looks boring and awkward. You're right about them being a top side, I wouldn't be surprised to see them go through at the expense of one of Real Madrid or Juventus. I see Juventus have to go to Russia and play them at the end of November, that could be crucial. I am very scared about Zenit. Today it was ManU, but last year it was Bayern Munich, who were handed a very serious beatdown. Thankfully, Real Madrid plays in San Petersburg in september, but Juventus does it in late november, so we'll see how they manage the snow and low temperatures. I think it's going to be a very hard group. Pavlyuchenko is going to do great in London. I feel he's a much more interesting player than Arshavin. He's fast, strong, very talented and moves incredibly well. The only downside I see is that with him signed, Berbatov is heading to ManU very soon. I remember when I first saw Arshavin playing for Russia, I thought he looked about 21 or something, and the commentators are talking about what a great prospect he is then I find out he is 27, he just looked so much younger and it didnt help with the commentators talking about him as a prospect. When I was looking to find out his exact age, I typed his name into google and this came up. Its all over spurs fans, he appears not to be going. Well, I've no idea what to believe with all the gamesmanship from both sides and exaggerated reporting... out of Ronaldo's flirtation with Real Madrid; Barry's supposed switch to Liverpool; Berba's supposed switch to Man. U; and Robinho's move to Chelsea, this has to be one of the most tedious and long-running sagas this summer. BTW, I'm sure I'm not the only one interested to hear how things are shaping up under Mourinho... you feeling confident about the in-coming season and Inter's quest for trophies? Keep in mind that Zenit are in the middle of their domestic season, they were in top gear. Although I cannot believe a club with such overtly racist fans are allowed to compete in anything. Inter look set to announce the signing on Ricardo Quaresma today in the late afternoon. Jose Mourinho interests me, his training sessions seem to be less about physical shaping up, even in the pre season, I am not particularly happy with him possibly playing only 3 in defence when we have so many good defenders (Maicon, Chivu, Burdisso, Materazzi, Maxwell, Samuel, ect) and he has signed in my opinion too many midfielders. Before the summer transfer window Mancini said 'we need to buy a winger' - so Mourinho decideds to buy 2, when we already have stankovic who plays down the right, and Figo who plays down the left, and I feel some of the players might get a little upset because we have too many great midfielders. Mourinho is going to only play 3 men in the defense? Odd, he usually doesn't play anything besides a defensive-minded 4-3-3. I guess this will be interesting, he'll probably play a 3-5-2, and play with an inside and wide winger on both sides and put Muntari in the central role. Quarsema will probably end up a wide winger. Inter is great on defense, but methinks that Mourinho will probably deploy a 4th defender as a holding mid or something like that. Other than that, not much on the transfer front has happened, to my knowledge. Tomorrow will be interesting, as it closes at midnight tomorrow, right? Or midnight on monday? I think what Mourinho is doing is going to be for the best. With Mancini it was horrible to watch Inter play, it felt like so many talent was wasted. Now they're trying to control the ball more time, that's why you need so many midfielders. That will make it easier for Ibrahimovic, who should be Inter's undisputed leader, and who, I think, hasn't played too well the last couple of years due to Mancini's tactics. I believe he is planning on playing Captain Zanetti in a defensive midfielder role with Cambiasso, which sort of leaves you thinking 'what about Vieria?' but I honestly think Vieria is past it and I don't think he is worth the money now, especially with our new signings. All of a sudden Arsenal looking like a challenger for the title again. Maybe Cesc doesn't have much on the score sheet but his presence alone seems to have lifted them onto the level everyone thought the Gunners could play at. Fantastic display. Yes, Every so often a club has a player that just seems to make everything click. Sometimes, (unlike Cesc) the player doesn't seem to do anything amazing in a game! Arsenal were brilliant. Sure, there were a few mistakes, and a few minor problems, but overall were a joy to watch and played very well. Van Pierse for Man of the Match. Wow...the tension is building ahead of the Old Firm Now! This is actually a really tough one to call in my opinion. Getting any points at Parkhead is actually a very difficult thing to do (ask Man utd, Ac Milan etc.) and it's still to early in the season to know how the teams are really playing! Annoyingly, I'm working tomorrow from 2 o'clock. Therefor, I won't be able to watch the 2nd half properly. Although, I work in a Celtic pub/Celtic restraunt so I get to run through, watch the game and then cheer when Rangers win...avoiding the thrown glasses! I'd like to be a member of the club too. 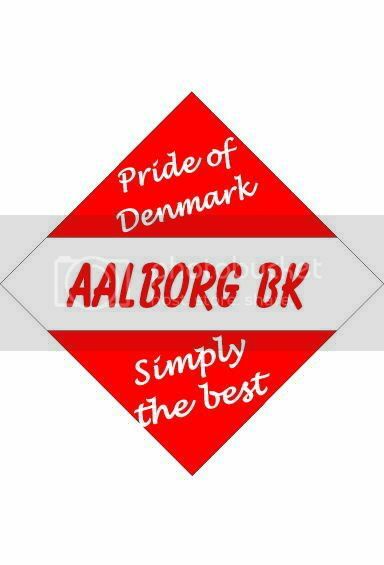 I'm a fan of Aalborg BK (AaB). We won the Danish Championship last season and we've just qualified for the Champions League, where we are playing Manchester United, Villareal and Celtic. That's gonna be pretty exciting. I live 100 metres from the stadium, and it's gonna be wierd having Ronaldo and those guys running around in my backyard. But I'll be at the stadium for those matches. Some people may remember AaB from last season, where we went 2-0 up against Tottenham at White hart lane, and then lost 3-2. But last season was just a joy, and we won the championship with many points clear of number two Fc Midtjylland (they almost knocked out City in the uefa). Fc Copenhagen came third. In Denmark Fc Copenhagen and Brøndby are the biggest clubs, so it's nice that my club can win now and then. Right now we don't have any players on the national team (the coach of the national team is a complete moron too), but we've got some big talents on the under 21 national team. Welcome to the squad 9000tennis... and thanks for the link and good luck with the Champions League... and watch out for any drunken Glaswegans/Mancunians/Villa Real fans taking a p*** in your garden! Good luck to your side, they've got an American, which gives them a +1 in my book. They're going to need it, Celtic, United, and Villrreal are all quality teams. Celtic aren't quality, their fans smell of urine. Haha, As much as I like to insult Celtic...that's absurd. Bit gutted they kicked your arse? By which you mean they took their one opportunity and Saha had a penalty saved rather limply? Actually we sold our American player Danny Califf to our rivals Midtjylland. Sadly they couldn't find a way to renew his contract, so he left. We bought Michael Beauchamp from Nürnberg as a replacement, but in his first game he got sent off after 15 minutes. He really have to do good, if the fans are going to like him. I don't have a garden, it's just a yard for bicycles and a small lawn. But they better not mess with my bike. The most famous person we have is probably our manager Bruce Rioch. I remember him! He's the guy that signed Bergkamp for Arsenal. Ricardo Quaresma to Inter Milan for 18 Million Euros. It broke over on AS and GOAL.com a couple hours ago. 4-2...Just amazing. mendes's goal was astounding. I'm Speechless. Good win for your lot, (As an American, I am a bit pissed Edu didn't get in, nor did Altidore in Villarreal's match ) that's got to be the first time you guys have won at Parkhead in a really long time. However, Valentine's Day might be a karma return though, that's when the next OF Derby is, and it's at Ibrox. And Chelsea were terrible today . We've got to be better than that if we're going to go anywhere this season. Oh, did anyone here Roman Calderon's comments this morning? He claimed Chelsea were breaking transfer regulations regarding the Robinho sale. Roman said that Chelsea were wrong to approach a player while he was still under contract and try to sign him. Pot, meet kettle. Kettle, this is pot. We were bad yeah, but to be fair, Tottenham did park the bus (and not for the first time). It is hard to break down but it's the way teams play against the big four these days. If you try and play you end up getting destroyed (like we did to Portsmouth and then Arsenal did the same to Newcastle yesterday) so you can understand them doing it. When all their players are back in their own half it's very hard to score and it happens. It won't be the first time this season the big four come up against a team playing that way but we have to find a way to smash through them. As for Real, they really are hypocrites aren't they!? Apparently the deal they want to do tomorrow is for Chelsea to pay €25 Million PLUS Drogba. Crazy. They are becoming a laughing stock, you're right. They were so confident that all they had to do was smile towards Cazorla and Villa and they would come, but they both weren't interested and to be honest, why would they? Real Madrid don't have a particularly good side at the moment, they lost to Roma last year in the Champions League and people weren't really that surprised with the result. They still act like they are the best team around and people should bow down to them but they are just living off past glories at the moment. I am not sure we could find a worse president than Calderon or even someone with a bigger mouth. His negotiating skills are priceless. As for Robinho, I don't care if he leaves. I find it completely normal that clubs negotiate with players when they belong to other teams, it has always been like this and it'll always will be, but no club will recognize it publically. But if he wants lo leave he'll have to bring the money. 32 million for Robinho is not enough. If Chelsea comes with 40 million (25 and Drogba will be nice, but it'll never happen) I would send him to England with a ribbon. We couldn't have started worse la Liga. We lost against Deportivo, though is true we haven't been able to win in Coruña for 18 years. Of the favourites, only Atletico has won, so if you look at it that way it's not that bad.